Jonathan Sternberg was music director of the Harkness Ballet in 1966-68. He led performances with the company on tour across the U.S. and in Europe and South America. These recordings were probably made during a tour of Europe in 1967, but they were never released. Leo Hoiby (1926-2011) was an American pianist-composer who often worked with the Harkness Ballet. He orchestrated an obscure piano four-hands piece by Schubert into a sort of concerto movement for piano and orchestra. It is a charming piece and the performance is quite good. The Italian-American composer Vittorio Rieti (1898-1994) ) studied with Respighi and his Capers recalls Respighi’s ballet score La boutique fantasque. Capers is light music but witty and entertaining. The most substantial piece on the CD is Menotti’s (1911-2007) ballet score Sebastian. It dates from 1944 and is nearly 40 minutes in length. The “Cortège and Procession” movement is brilliant in the Russian style of Rimsky-Korsakov and Ippolitov-Ivanov, with piccolo, tam-tam and bells to the fore, but elsewhere the music is often hauntingly lyrical. Stokowski recorded Sebastian in 1954 and there have been several recordings since, but this one is well done too. 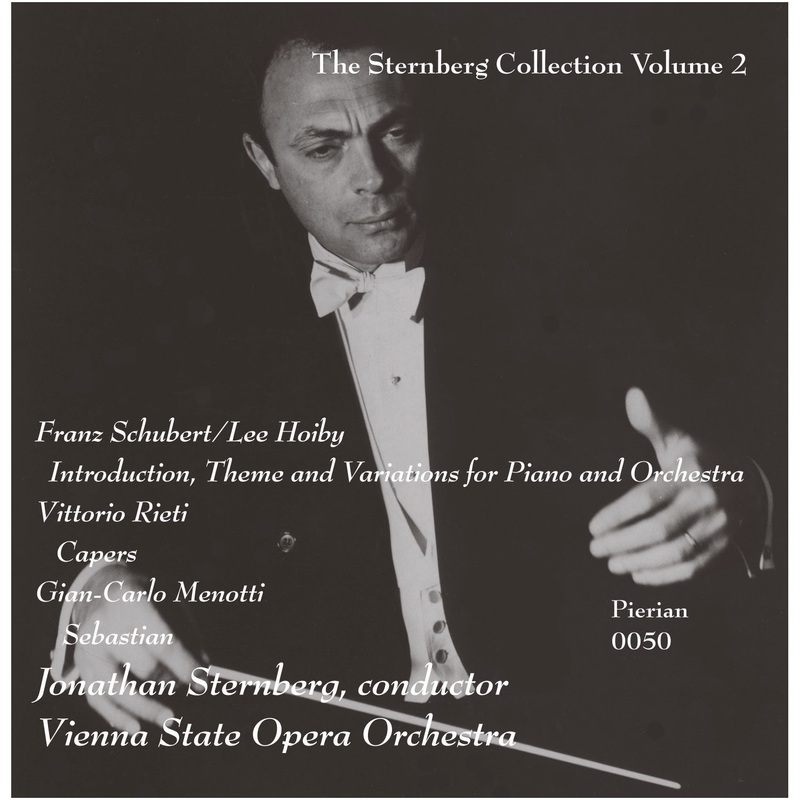 All the recordings on this CD are from Jonathan Sternberg’s own collection and as well as documenting his Harkness Ballet years, they remind us of his efforts to promote American composers. Sternberg first came to prominence in Vienna right after World War II. He linked up with the great Haydn scholar H.C. Robbins Landon and together they made some of the first recordings of a number of Haydn symphonies and masses. Sternberg went on to build a career in Europe before returning to the U.S. He was one of the foremost American conductors of his generation. During 1957-58 he was conductor of the Halifax Symphony.